Muhammadgulu khan, surrounded by his courtiers, was watching open-air theatre performances in the old Azerbaijani town of Irevan (Yerevan) in the 17th century. As early as 1673, the French traveller Jean Chardin was writing about the show performed by male actors and dancers that he saw on a visit to Yerevan and comparing it with European operas. 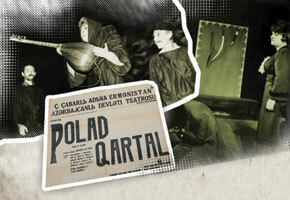 Later, the establishment of professional theatre in Azerbaijan in 1873 affected cultural life in Irevan. The city’s intellectuals sought to build upon the traditions of open-air theatre by establishing a professional theatre. For several years they tried in vain but finally, during the Novruz holiday in 1880, a performance of The Khan of Irevan at Novruz, based on a play by Mashadi Ismayil, was shown. 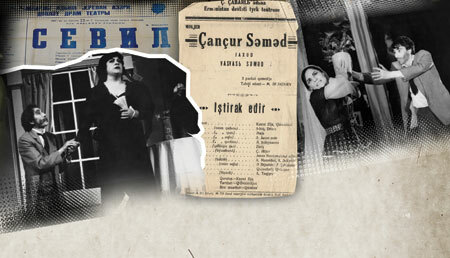 This date may be taken as the date professional Azerbaijani theatre was established in Irevan. Inspired by the performance’s success, students of the Irevan City Gymnasium staged Avarice Creates Enemies, directed by Mashadi Ismayil, a teacher at the Gymnasium. The newspaper Psag reviewed the play’s second performance (10 April 1882, issue No 7). Mirza Khalil Hajiyev was the author of this ‘excellent play’ and played Mammadgulu, the leading role, in this performance on 2 April 1882. The review rated this performance, put on for the benefit of the poor, as a success, better than the first one. It was interesting that the theatre founded in Irevan, unlike theatres established in other Azerbaijani cities, opened not with M.F. Akhundov’s comedies, but with a play by a local author. 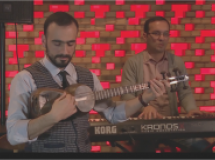 This gives some indication of the development of cultural life in Irevan, as well as of the local Azerbaijani population. 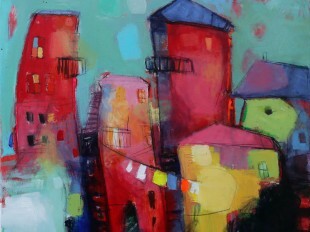 Thus, after the creation of professional theatre in Baku in 1873, Irevan was one of the first cities to follow. On 4 April of that year (1886 –E.A. ), Young Muslim students studying science and attaining maturity at the Teachers’ Seminary, played the late M.F. Akhundov’s comedy ‘Monsieur Jordan and the Dervish Mesteli Shah’ with government permission, attracting attention and gaining the respect of all. The comedy was performed in the Turkish language….After this performance a one-act comedy, written by student Rzayev of the Teachers’ Seminary, was performed. This show also gained everyone’s respect. 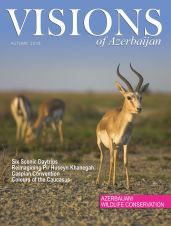 Researching the memoires of local researchers, actors and people about performances staged after that time, V. Aliyev wrote that these included Girt-girt (Cluck) (1893), Dursunali and Ballibadi (1893), Haji Gara (1894), Monsieur Jordan and the Dervish Mesteli Shah (1896), The Vizier of the Lenkeran Khan (1897), Reluctant Marriage (1899) and Avarice Creates Enemies (1899). These performances were shown in small venues, even in homes, and they were not covered widely by the press. 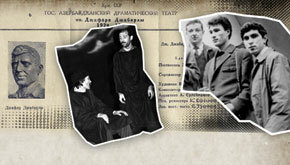 There were lengthy articles about plays put on in the Canpoladov Brothers’ theatre in 1896, nevertheless, the resistance from religious figures cannot be denied. Although it was extremely painful and difficult to stage performances in Irevan, with its strong religious traditions and eleven mosques, devotees of the art broke through the barriers and succeeded in establish Azerbaijani theatre in Irevan. They were supported in this by their assistants, intellectuals and some of the nobility. The governor of Irevan Panah Khan Makinsky and others worked hard for the development of theatre there. With their support, the play Monsieur Jordan and the Dervish Mesteli Shah was performed in the Canpoladov Brothers’ theatre on 8 December 1896 and was a great success. Writing in the newspaper Nor dar (New Age) of 19 December 1896, E.Ter-Grigoryan praised both play and performers, particularly remarking on an outstanding performance by the Turkish youth playing the role of Shahrabanu. This young talent was Yunis Nuri who worked for 50 years in the Irevan Theatre as stage director, actor and theatre director. A distinguished actor and film director, Yunis Nuri joined theatre life in Irevan in the 1890s. Following his first appearance on stage, this talented youth, along with Mashadi Isamyil, staged Akhundov’s comedy The Vizier of the Lenkeran Khan in 1897 and then directed independently. Avarice Creates Enemies (1899), My Tongue is My Enemy (1900), The Alchemist Molla Ibrahimkhalil (1901), Ignorance (with E. Sultanov, 1902), Haji Gara (with F. Abdulla, 1902) went down well with theatre lovers in Irevan. Alongside the talented and hardworking youth, the contributions of intellectuals were also crucial to the development of theatre in the city in those years. Prominent educator and writer Jalil Mammadgulu-zadeh was a teacher in the Irevan Gymnasium from 1898-1905 played an exceptional role in the city’s cultural life and development of theatre. And Panah Khan Makinsky charged Yunis Nuri with staging a performance. The offer was accepted and Nuri got permission to stage Girt-girt (Cluck) a vaudeville play by V. Madatov. Panah Khan Makinsky who was aware of the content of the play offered to stage the performance in his palace and for his family only in order to protect the troupe from the anger of the local clerics. 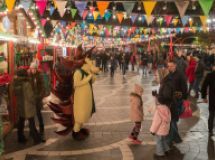 News of the success of the first performance spread across Irevan. Many people asked the Khan for permission to stage the play in the palace yard. 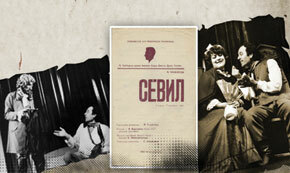 The play was performed several times to great applause and Nuri strove against the odds to make the play available to ordinary people by giving a performance in the Obshestvenniy (Public) Club. Inspired by this success, Nuri staged further performances in the larger Canpoladov Brothers’ theatre between 1905 and 1909, including Gogol’s The Government Inspector, and more actors were trained and recruited. A Yerevan tour by the outstanding actor and director H. Arablinsky in 1909 made a significant impact on the life of the theatre. Yunis Nuri benefited from the great actor’s advice and the plays he directed following that tour displayed markedly greater professionalism. Many other actors from Istanbul, Baku, Tbilisi and Batumi followed in Arablinsky’s footsteps to Irevan, boosting the popularity of theatre. Nuri had been working hard to solve a crucial problem of the period – to find players for women’s roles - and finally, in 1916, Tamara, the daughter of butcher Asad, appeared on stage. She played Gulchohra (in Arshin Mal Alan, the Cloth Peddler, by Uzeyir Hajibeyov) to thunderous applause in a period of great expansion and development for the theatre. In 1918, the Armenian-Dashnak reaction seized Irevan and established the self-proclaimed Republic of Ararat. 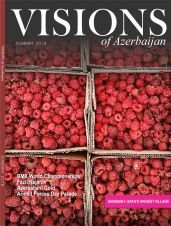 The local Azerbaijani population suffered atrocities and expulsion from their homelands of Irevan, Zangibasar, Vedi, the start of a drive to push the indigenous Azerbaijanis out of the land. 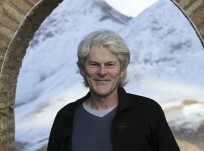 Yunis Nuri escaped to the city of Khoy in Southern Azerbaijan (in Iran) where he found former members of the troupe and began the theatre’s work again. In spite of the absence of accurate information on the theatre’s activities in Khoy it seems that at least a few performances were staged there. Following the establishment of Soviet rule in 1920 the indigenous people of Irevan were able to return to their native land. In 1922 Yunis Nuri reassembled the theatre troupe and continued as director. Of the actors, Bala Efendiyev, a head of department of the Central Committee of the Armenian Communist Party (CP) and Akbar Rzayev, another leading member of the CP, also introduced their spouses, Fatma Efendiyeva and Firangiz Rzayeva, to the theatre. 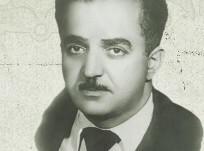 From 1922-28 Yunis Nuri produced many plays and helped young directors to gain experience. The theatre group performed in Vedi, Goyja and Zengezur as well as in Irevan. With the progress and success achieved it was decided to set up a Turkish Theatre in March 1928 under the leadership of Yunis Nuri who contributed much to the development of Azerbaijani theatre. After many Azerbaijanis were deported from the Armenian SSR between 1948 and 1953, the drama theatre was closed and turned into a folk theatre. The performance staged in 1970 took a totally new approach to Uzeyir Hajibeyov’s immortal comedy, written in 1910, centred on a down-at-heel aristocrat considering giving his 15 year old daughter in marriage to a much older and uneducated merchant (Mashadi Ibad) who has suddenly become wealthy. 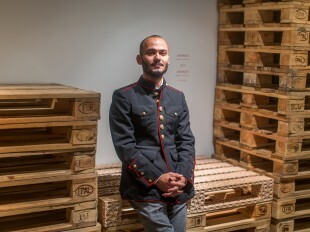 Uzeyir bey’s satire was sharpened and delivered with great clarity. The subsidiary characters were by no means confined to the sidelines but were at the centre of events, creating an exchange of views on the morality of the time which impeded moral and technical progress. The talented actors created a compelling vision to achieve a highly entertaining satire of the times. Mashadi Ibad, played by Jamil Aliyev, believed sincerely in his actions, faith and way of life. However his machinations towards business and marriage come to nothing and he eventually understands his mistake, realises times have changed and accepts marriage with the more suitable Sanam, who still, however, costs him dear…. From 1967-88 a number of different directors staged some memorable performances at the Jafar Jabbarli Irevan State Azerbaijan Dramatic Theatre, of plays by an intriguing range of writers: Jabbarli, the Russian Alexanders Ostrovsky and Gelman, the Bulgarian Panchev, Azerbaijan’s Ilyas Efendiyev, Eugene O’Neill, Chekhov, Shakespeare…. Those years were a kind of renaissance as the theatre advanced into a new era. 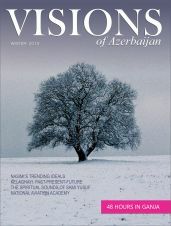 However, 1988 saw a renewal of moves to expel Azerbaijanis from their homeland of Irevan and the acting troupe was unable to return there from a tour of Baku and Lenkeran. 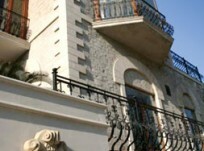 They decided to carry the cultural torch from Irevan in Baku. 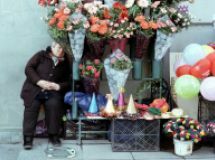 With Honoured Artist Vidadi Aliyev as manager and director from 1988-2000, the theatre became known for stage sets and music which became ‘characters’ in their own right and for a simpler stage language, unifying thought, word and deed. The theatre naturally reflected the nation’s progress towards renewed independence and identity with plays like Suleyman Rashidi’s Allah Rest Their Souls, which dealt with issues arising from the 20 January 1990 massacre in Baku by Soviet troops. 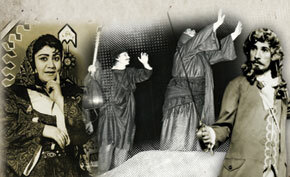 That play also created a resonance in performances in Tabriz and Ardabil in December 1993 - January 1994. 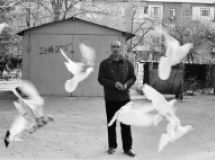 People´s Artist, director Vagif Asadov began his work with the Irevan theatre from the first days of its establishment in Baku. An early production was Refugees, his 1992 adaptation of Zelimkhan Yagub’s poem Sorrow of Goycha. Central to the play was the lost land, the site and symbol of all stages in the lives of the refugees driven from it, a fertile land, a place where the first steps were taken, the first date, weddings and festivals and where the dead rest, but above all a place of life. The Irevan Theatre, still living the refugee life, continues on its creative way. By presidential decree, the theatre’s anniversary was celebrated at the Azerbaijan State Musical Comedy Theatre in Baku on 16 October 2007. The theatre personnel were awarded with the honorary titles by the order of President of the Republic of Azerbaijan. The dedicated personnel of the Irevan Theatre hope for a return to Irevan and a resumption of its work there one day.